High quality leaf collection solutions with guaranteed increase of productivity. All Foresteel trailers are equippable with our leaf vacuums and are often used in combination with tractor mowing deck or underframe suction unit. For collecting leaves and mowed grass, cleaning turf and event areas of debris, wood chippings or similar materials. A proven solution for municipalities, greencare contractors, horticulture and greencare enthusiasts and park maintenance companies. Our accessories consist of gasoline powered leaf vacuum units; PTO driven leaf vacuum units; Underframe Suction units and professional hydraulic leaf brush units. Foresteel offers wide range of leaf vacuum kit solutions for leaves and debris collection. 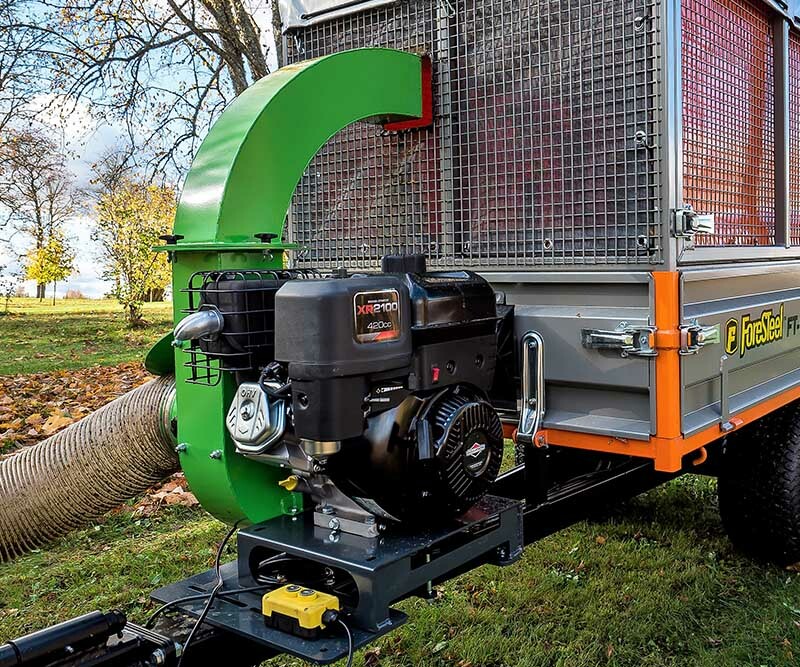 Our trailers with leaf vacuum units save time and simplify seasonal leaves collection tasks. Simplify your debris collection works with a multifunctional Foresteel trailer. Powerful, well designed suction units for different size contractors, municipalities, park maintenance companies and hobby users. * Leaf vacuum unit's can be assembled on any Foresteel trailer model. Simple yet efficient suction unit for Foresteel trailers. Simple and genuine collection unit for Foresteel trailer series to minimize manual labour and collect leaves and debris efficiently in good to moderately damp conditions. Easy to use and simple to adjust. * Underframe suction unit's are available for every Foresteel trailer model. 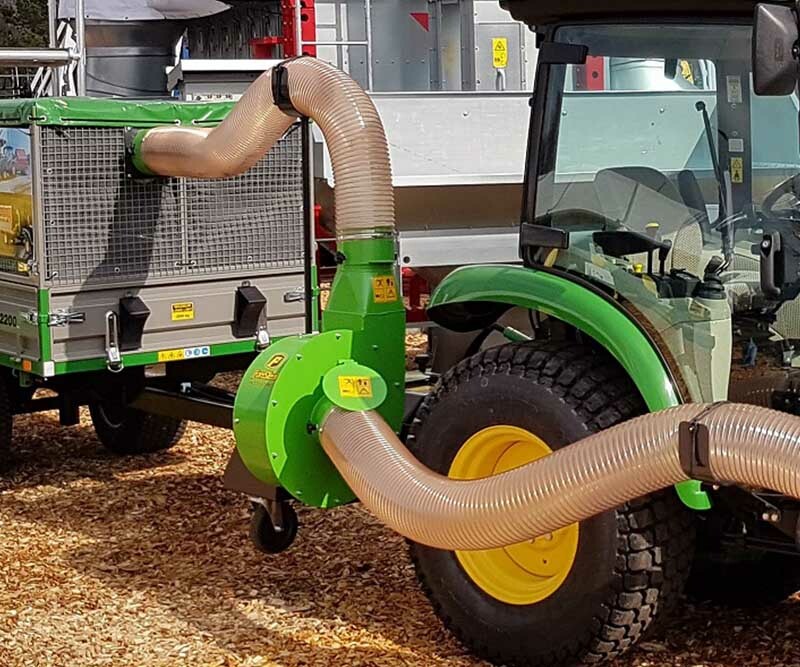 Powerful suction unit for any PTO-available compact tractor. 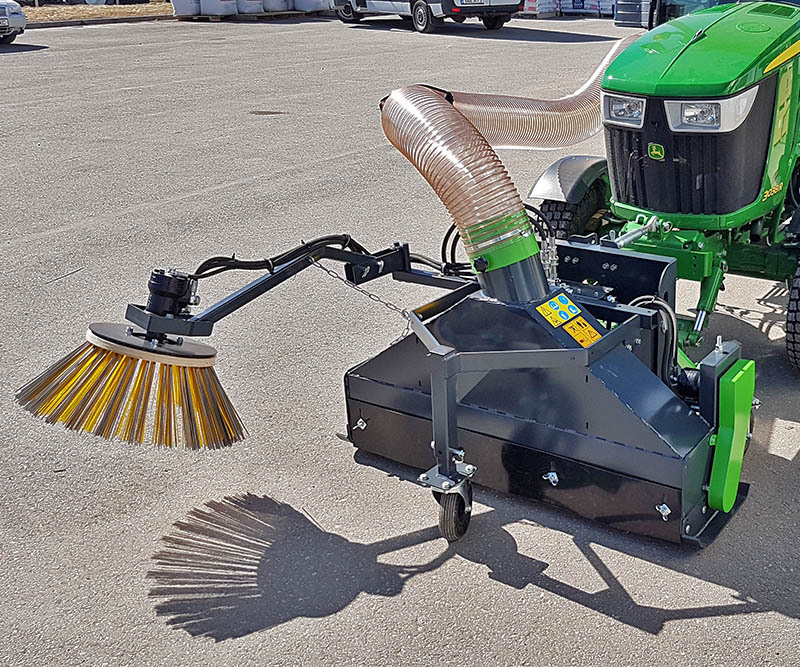 PTOvac is designed for efficient cleaning of bigger flat areas and greencare spaces and is a great addon to any municipality in combination with a leaf brush option or in mowing deck connection.